Learn how to keep your grass healthy and green year-round. There are few things more inviting and more picturesque than a perfectly green lawn. But getting and keeping that perfect lawn can be quite tricky. Between the summer sun, heavy foot traffic, and countless other variables you may find yourself overwhelmed. 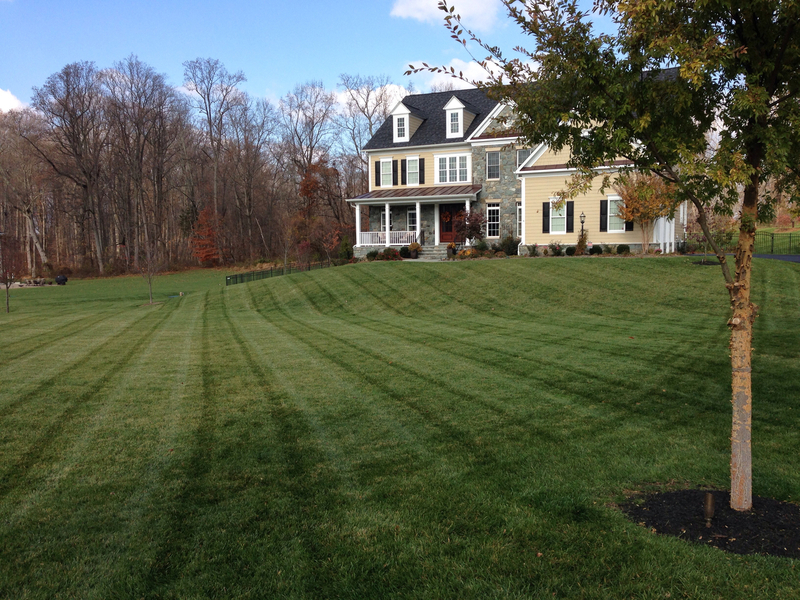 Fortunately, there are a few tips you can follow to help create a stunning, healthy lawn. There are several different types of grass out there, and each one thrives in different settings. If your yard receives a lot of shade, if your soil is mostly clay, if you live in an area with different temperatures: each of these variables can affect which type of grass will work best for you. Consulting a professional can help you determine what will be the best fit for you and your home. Grass, just like any living thing, needs specific nutrients to thrive. Routinely testing your soil can help indicate if you need to add and fertilizers, pH balancers, etc. to ensure you have a happy, healthy lawn. One of the biggest mistakes that many people make is when they overwater their lawn. If you start your lawn from seed, you will need to water more frequently once your grass is fully grown. Water your lawn deeply once or twice a week to encourage deep root growth and healthy water absorption. When grass is cut too short, it’s not able to protect itself from the harsh and drying heat of the sun. If you mow your grass too short, not only will you need to water more, but you will also need to weed more frequently. A shorter lawn makes it easier for weeds and pest plants to sprout. One of the most important steps for overall health, especially if your yard receives significant traffic, it to aerate it twice a year. Aeration allows the roots to receive water, nutrients, and air better. It also helps to loosen the soil so that it doesn’t overly compact which can make it harder for grass to grow over time. This entry was posted on Friday, July 27th, 2018 at 1:19 pm. Both comments and pings are currently closed.